To provide a comprehensive, individualized treatment for learners with autism and behavior disorders by combining science, care, and education to foster their full potential in all facets of life. We believe that every moment is a teaching and learning opportunity. With gentle, persistent persuasion, we help children become active participants in the learning processes of communication, socialization, and self-management. We partner with families in the therapeutic process and help them with the resources and training they need to understand their children's unique needs. Services are based on the most current and innovative methodologies offered in the science of Applied Behavior Analysis (ABA). 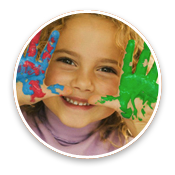 For each child, we conduct thorough assessments and implement highly individualized and well-rounded treatment packages. Instructional strategies are data driven and are drawn from literature-based methods authored by respected specialists in the field of behaviorism. Naturalistic settings are simulated to systematically prepare students for learning in the inclusion setting. Inclusion success is systematic and purposeful. Support is provided by collaborating with the educators in the inclusion setting to help the child succeed in one of the most important transitions he/she will make. 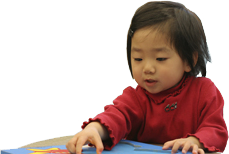 The collaboration of ABA and service providers results in sessions that address each child's unique sensory needs while teaching functional-purposeful exercises and meaningful movements. To ensure consistency, the key to success, we will coordinate service providers (ABA therapist, OT, and speech) as a cohesively functioning team is essential. Although much hard work lies ahead for learners in therapy, we will work even harder to motivate, encourage, and make it worth the child's time. We will make learning fun (Matching Law-Herrnstein 1961;Davison et al., 1988). Ms. Leila Farshchian, M.A., BCBA, is a Certified Special Educator and a Board Certified Behavior Analyst with extensive experience working with children with autism and special needs. Since 1997, she has used Applied Behavior Analytic (ABA) methods for the treatment of learners with ASD in school, home, and community settings. She has designed programs and curricula for public and private schools such as Manhattan Children's Center, and several public schools in NYC and NJ. She has conducted workshops, counseled families, and directed small and large teams of educators to provide treatment in public schools and home settings. In her last public school programming, after 4 years of leadership as the Coordinator of the Autism Program, the NJ Board of Education in Trenton awarded the program as top 3 programs for Children with Autism in the state of NJ in 2007. Ms. Farshchian received her Masters of Arts in Applied Behavior Analysis from Columbia University, Teachers College. She developed a curriculum for over 800 ABA data-driven programs, encompassing individualized skills in the areas of academic, self-management, verbal behavior/language, leisure skills, joint attention, inclusion, and behavior management. Her memberships include The International Association for Behavior Analysis, NJ COSAC, Autism Speaks, the NJ Association for Behavior Analysis, and International Health Awareness Network. Learners' Compass behavior specialists provide school/agency supports and mentorship to our colleagues in pursuit of their BCBA/BCaBA. Our ABA supervisors coordinate home-based ABA intervention programs. They provide parent and staff training, collaborate with other educators/therapists on the child's team and provide interventions for our students. Shayna has worked with learners with Autism since 1997. She has developed curriculum, directed center based programs, contributed to the science of behavior analysis in publications, and provides consultation for ABA interventions internationally. She currently provides BCBA/BCaBA mentorship. Diana has worked with learners with autism since 1994. She has worked in private and public programs for youngsters ages 2-21, with varied needs. She has presented workshops and provided training programs for professional and non-professional audiences. She provides parent training, staff training, consultative services, and direct services in school and home-based settings. She specializes in severe behavior disorders. Patricia has a Bachelor of Arts in Communication Sciences: Speech Language Pathology and Audiology from the University of Vermont. She has worked with youngsters with autism and special needs since 2005 in the school and home settings. She worked at REED Academy and other school-based programs. She specializes in parent training and functional interventions in the home setting. Xaviera has a Bachelor of Arts in Speech-Language Pathology with a dual minor in Elementary Education and Psychology from Hofstra University. She has attended numerous conferences and training for Applied Behavior Analysis. She began her with work with learners with autism in 2000 as an early intervention therapist and youngsters ages 2-16. She specializes in parent training, school-based consultation, home programs, and challenging behaviors. Deirdre has worked with learners with autism since 1995. She joined the team at Alpine Learning Group in 1995 as certified teacher of the handicapped and a case manager. She has provided interventions for youngsters ages 2-21, with varied needs. She currently provides consultative services and therapeutic services in Learners’ Compass outreach ABA programs. Tiffany has received her Masters from Nova University in Mental Health and Counseling with a concentration in Applied Behavior Analysis. She began ABA interventions with youngsters with autism in 2004. She has worked as an instructor, VB/ABA therapist, team leader, and assistant director in a center based program. She currently provides behavioral consultation to schools, ABA supervision and parent supports/training in the home-based programs. Zabrina received her BA from New Jersey City University in 2006 in Special Education and her MA in Educational Leadership from Montclair State University in 2016. She is completing her BCBA coursework through Florida Institute of Technology’s ABA program. She began ABA interventions in 1999. She has taught in public and private school-based programs with learners aged 3-21. At this time she is a Supervisor in a private school. Zabrina provides direct instruction, coordination, behavioral consultation and parent training in our home-based programs. Dana, BCBA pending, has been providing services to learners on the Autism spectrum since 2009. She is completing her masters in Applied Behavior Analysis from Balls State University, IN. She has provided services in home based, center based, and public school settings. She provides individual based student support as well class-wide – systems support for public schools. Michelle O’Brien has a BA in Special Education. She has been dedicated to providing services for individuals with autism since 1995. She has provided services at Alpine Learning Group, EPIC School, Nexus Language builders and several other programs in Northern New Jersey. Her expertise is assessment, and program supervision for individual students as well as whole classroom supports. Beth Ann Gautier has a BA in psychology and has studied Applied Behavior Analysis at the University of North Texas. She has been providing services to learners with autism since 1999. She has worked at Alpine Learning Group, Rethink, as well other agencies. She is a dedicated professional providing program supervision, classroom supports, and direct services for our learners. Learners' Compass ABA instructors provide data based interventions to our learners in the home or school setting. They provide parent training and collaborate with the team. We currently have a small team of dedicated and motivated instructors. They all have at least a BA and three plus years experience in Applied Behavior Analytic intervention.